In my dyeing practice the dyes that I return to over and over again are the high quality powder fibre reactive dyes from Dharma Trading. 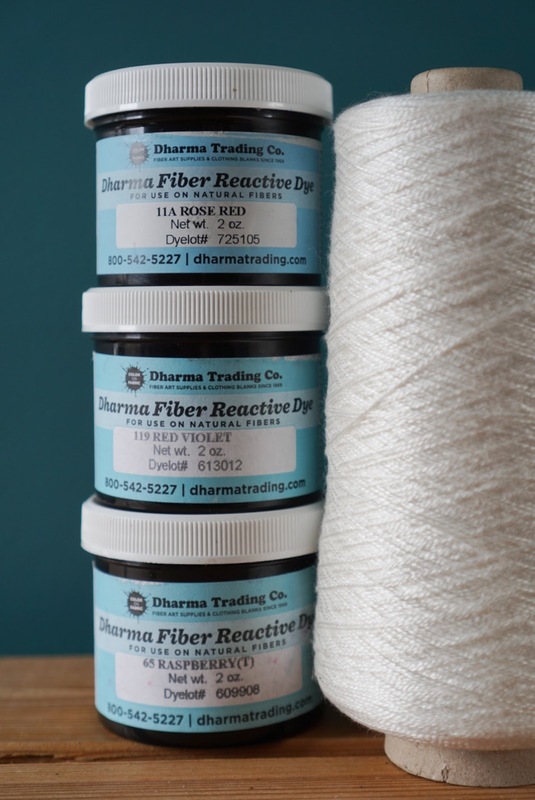 Dharma has been going since the 1960s, experts in dyeing and dyes, and we’re very proud to be offering their dyes here. We have two sizes available. Most colours are in 2oz pots, and the various shades of black as well as Soft Sandstone are in 8oz. 2oz counts as 50g towards your shipping limit and 8oz counts as 250g. 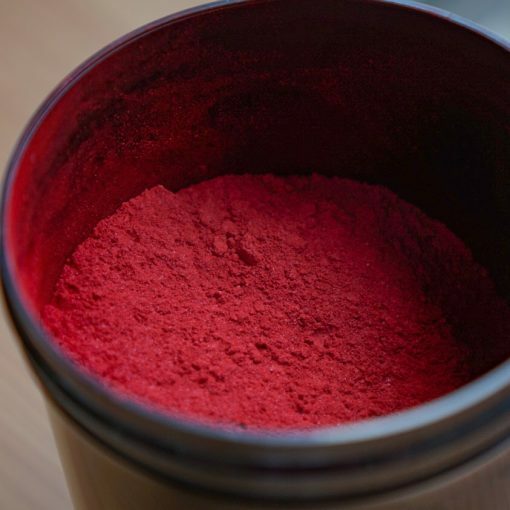 These dyes are suitable for both cellulose and protein fibres. Keep an eye out for upcoming blog posts on the topic! 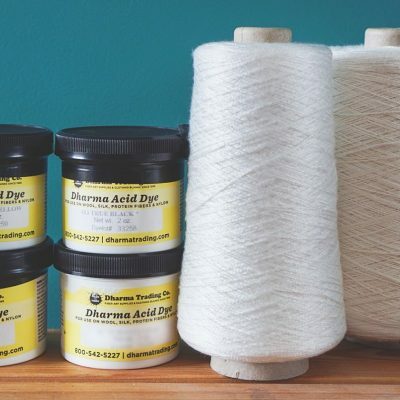 These are high quality, reliable dyes, and the paint chips give an indication of the colour of each, however as with all dyeing and weaving we highly recommend that you sample heavily so you are in total control. The final colours can vary widely depending on dyeing method, concentration, and more.